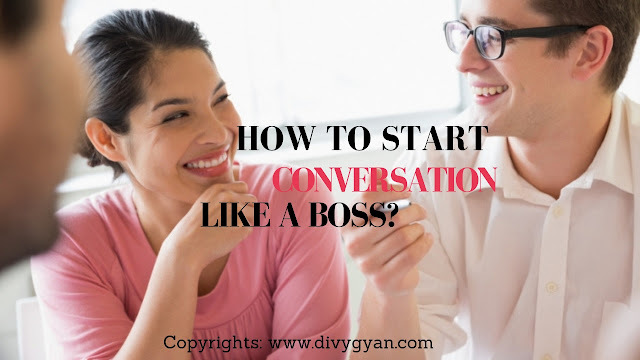 Home conversation conversation boss conversation power conversation skills conversation starters endless conversation How to Start Conversation like a boss? How to Start Conversation like a boss? Learning how to talk to strangers and how to hold a conversation might not seem like an important skill but in truth, it is one of the most important skills that you can have. I've mentioned in previous articles that relationships are the real currency that powers the world. And in most situations, getting what you want is more about how well you've mastered your people skills and less about how qualified you are? What you're about to learn will completely change how you view conversations forever and this knowledge will help you to unlock the deep confidence that lives within each of us. Despite what you might have been told, you just like every other person on this planet has a lion within You. The reality is that most people will go through life without unleashing their true potential but you're different. We'll start with the biggest secret of conversation that truly makes all of the difference. Many guys who've just started trying to improve their social skills don't realize that the way they approach someone makes all of the difference. As humans, psychologically, one of our biggest fears is rejection and since we all want to feel accepted. The thought of being rejected leaves us with a pit in our stomach. However, the biggest secret to starting conversations with anyone especially girls is knowing that you can only be rejected if you allow it to happen. The secret is in how you approach someone. Something that you need to understand is that, within the first five to ten seconds of meeting someone you're being judged. Simultaneous, both of your brains are absorbing information and forming a conclusion about the other's character. Things like your body language, voice tone, body position, facial expressions, and hundreds of other data points are intuitively being tapped to figure out what type of person you really are. Girls are even better at intuitively picking up on these signals than guys. Some people say to never judge a book by its cover, but it's human nature to do this. And we all do it many times every single day. The key to starting conversations and reducing the odds of getting rejected by anyone lies within the first five to ten seconds of the interaction. This is when each person is effectively sizing up the other to decide how to proceed. Most guys fail at this simply because they don't present themselves correctly within the first 5 to 10 seconds. When starting a conversation or interacting with anyone for the first time the secret is to present yourself in a way that demands attention and projects a strong presence. So many guys when approaching a stranger carry themselves in a way that almost makes them seem like they're little flies buzzing around and bothering people. If you present yourself like a fly, other people are more likely to treat you like one and swat you away. When starting a conversation or approaching anyone you must unleash the lion that we all have inside of us. Even if you don't feel super confident in the beginning practice projecting a strong presence and speaking and behaving in a way that demands attention and respect. Consciously make it sound like you're self-assured about everything that you're saying. How you present yourself during this 5 to 10-second window is key and it's like the compass for the interaction. Deciding which way will go. Imagine you're at a club and the most beautiful girl you've ever seen walks in, she looks at you, you look at her and both of you like eye contact for three seconds. During this time, all sorts of emotions and chemical processes are occurring within your body. Eye contact is the biggest part of projecting a strong presence in the first few seconds of interacting with solar. You can always tell a strong confident man apart from a man who hasn't developed that level of confidence yet, by his eye contact. When an alpha look someone in the eyes and holds eye contact and on a confident guy will get nervous because what he is feeling and experiencing from this piercing glare is his own lack of confidence and insecurities surfacing. Most guys when locking eyes with a stranger during an interaction quickly break eye contact, why? Because the eyes instantly reveal a person's lack of confidence and their own insecurities. In other words, locking eyes with someone instantly brings these things to the surface. Mirror neurons and the other person's brain caused them to instantly feel your nervousness and it becomes a vicious cycle. Since most people don't like feeling discomfort, they will want to swat you away almost like an annoying fly. When you approach someone in a timid, weak, and unsure way, they don't know that you're acting that way because you're nervous about interacting with strangers. All they know intuitively within the first few seconds is that something isn't quite right with you and that will make them feel uncomfortable. This is especially true when you're interacting with girls. Imagine you need to get your car fixed and you take it to two different shops, the guy in one shop displays confidence in what he's saying and seems very calm and knowledgeable. The other guy and the other shop seems nervous and when he talks he doesn't seem like he really believes what he's actually telling you. Most likely you're going to choose the first guy. people lock eyes it is like you're both showing your hand in a poker game. When you first interact or start a conversation with someone. The first 5 to 10-seconds will make or break the interaction. The biggest secret is creating a strong presence and commanding their attention during this time while locking in strong eye contact for the first few seconds. Just practice not breaking eye contact with the other person for at least 5 seconds no matter how uncomfortable it gets. Also Read: Can You Get Pregnant During a Pregnancy? Rare But Possible! This is the secret to starting a conversation with anyone. Unleashing the light that we all have within us is about facing your fears and getting comfortable with discomfort. The next time that you interact with a stranger or even with your friends or family practice projecting your inner line and take notice of how things change.